Lloyd Bishop/NBCLauryn Hill returned to the stage on the eve of Thanksgiving. The singer, who completed a three-month stint in prison for tax evasion in October, showcased her catalog of hits at New York City’s Bowery Ballroom as part of her Homecoming Tour. 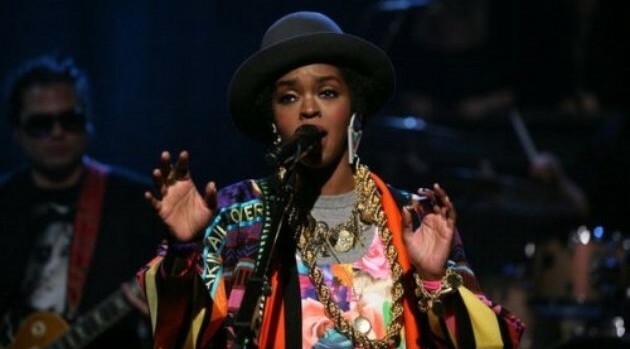 Fan footage from the concert has surfaced online and reveals Hill performing hits from her years with The Fugees as well as solo classics like “Everything is Everything,” “The Final Hour” and “Lost Ones,” among others. Throughout her two-hour set, fans were treated to reworked versions of several songs with a newly added reggae-inspired twist. Lauryn Hill’s tour continues in Washington, D.C.; Boston; Red Bank, New Jersey; Huntington, New York; and wraps on December 28 in Port Chester, New York.